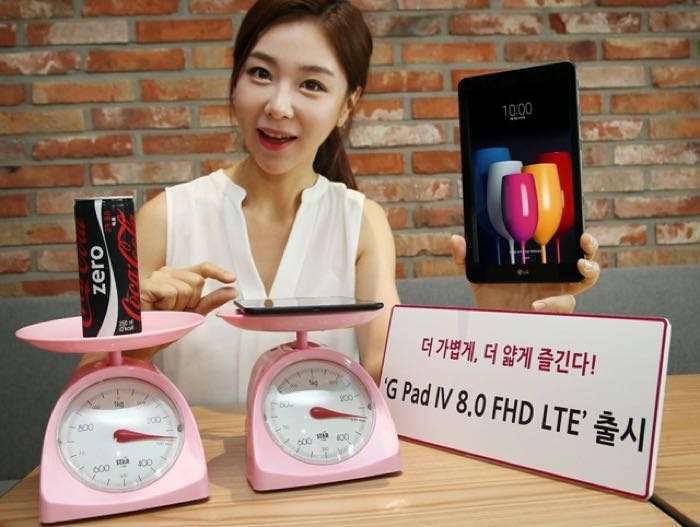 LG has announced a new Android tablet that is launching in South Korea, the LG G Pad IV 8.0 and the tablet comes with an 8 inch display that features a resolution of 1920 x 1200 pixels. The LG G Pad IV 8.0 is powered by an octa core Qualcomm Snapdragon 435 processor and the device also comes with 2GB of RAM and 32GB of built in storage. If you need some extra storage the LG G Pad IV 8.0 is equipped with a microSD card slot which supports up to 2TB cards. The LG G Pad IV 8.0 comes with front and rear facing cameras, on the front of the tablet there is a 5 megapixel camera and on the back of the device there is also a 5 megapixel camera. The device comes with Android 7.0 Nougat and it will cost KRW 352,000 which is about $305 at the current exchange rate. As yet there are no details on whether LG will launch the device in other countries.